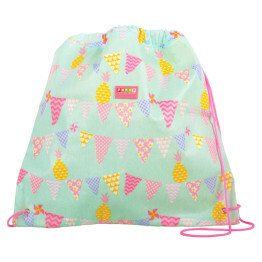 Tags: penny-scallan, pineapple-bunting, toiletry-bag, wet-pack. 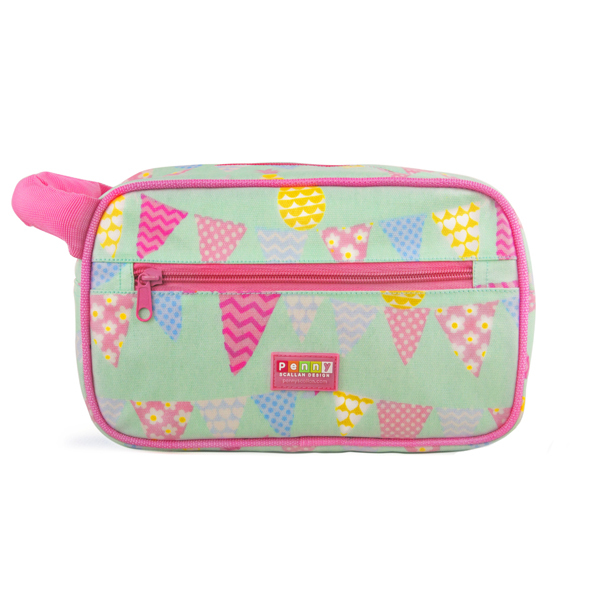 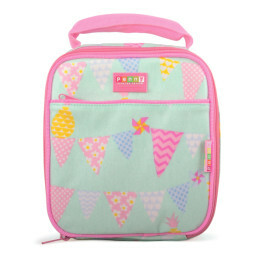 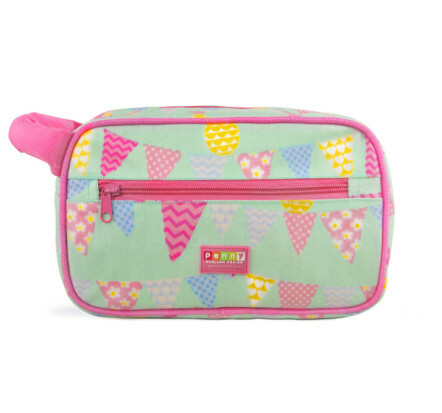 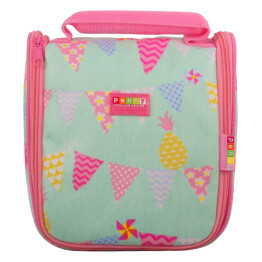 This super cute girls toiletry bag in the new Pineapple Bunting design is part of the stylish Penny Scallan range. 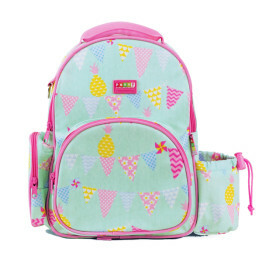 A must have for overnight stays, holidays or school camps.